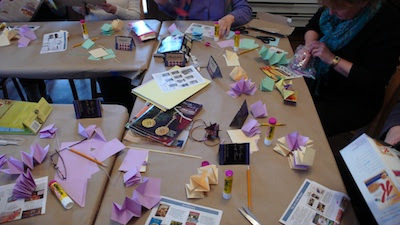 Another great workshop at the Center for Creative Wholeness in Newbury, MA! 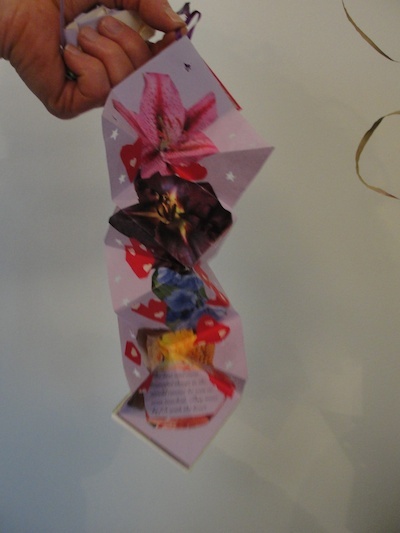 We gathered together for a morning of bookmaking and made what I call Diamond Fold Books. 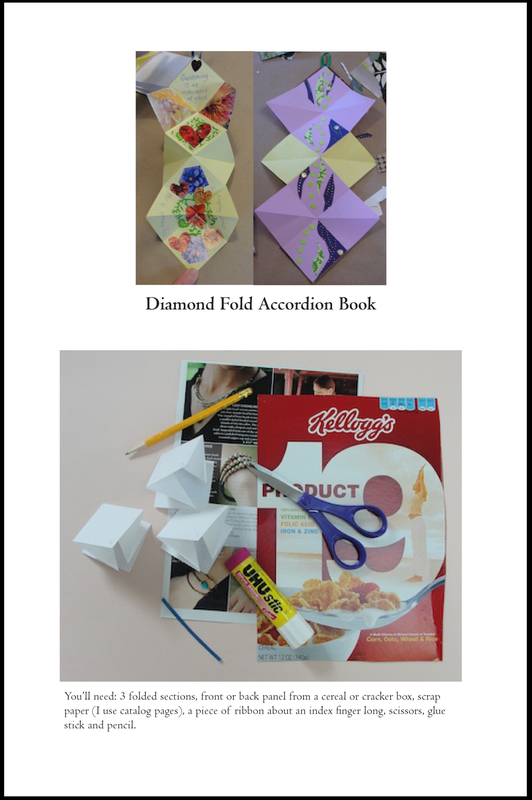 They go by lots of names—origami, star, lotus—but I call them diamond fold since I most often taught them in schools in connection with geometry. I usually use all recycled paper for the books but since both sides of the paper show, we used unused copy paper for the pages and cereal boxes for the covers. and the second half was play time. We had an array of collage papers, markers and gel pens, and quotes to add. 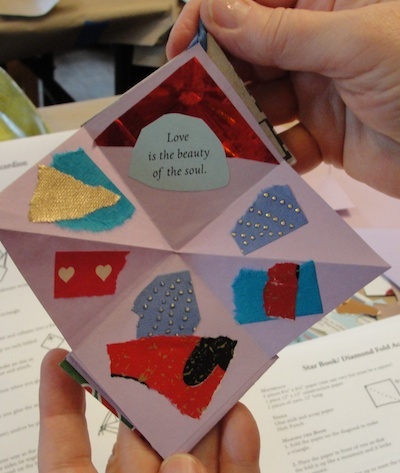 Since it was close to Valentine's Day, many of the books were made as gifts and cards. 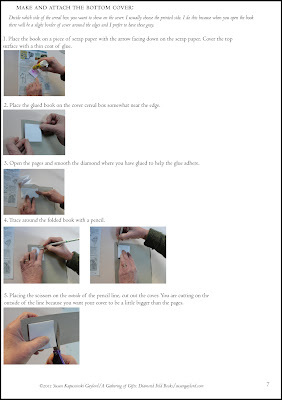 I have made a 20 page tutorial with detailed step-by-step directions illustrated with photographs. It is available for $5.00. You can purchase it here. 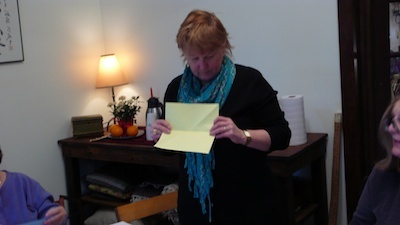 Thanks to Cameron Sesto of the Center for Creative Wholeness for the photographs. Top book is by Rebecca Wish Esche.